Freshly is a healthy meal delivery service that has quickly found its way into the homes of hungry home diners across America. The New York-based company with production facilities in Arizona started out in 2015 with the goal of becoming one of the industry leaders. Its mission statement insists that all its meals are absolutely fresh, never frozen. In the relatively short time that it has been on the market, it has doubled the number of states it delivers to, improved the variety of its offer, and consequently gained an increased number of loyal customers. It is a company that just keeps on improving. Read this detailed Freshly review to learn more. Freshly is in the business of providing fresh and healthy breakfasts and gourmet entrees for fans of the high-protein diet. Every week, there are a couple of dozen of delicious dishes to choose from and even though they focus on meat as the source of proteins, there are always several vegetarian meals available too. Ordering from Freshly is a piece of cake. All you have to do is choose how many meals you wish to receive weekly – 4, 6, 9 or 12 – and pick the dishes you like the most. 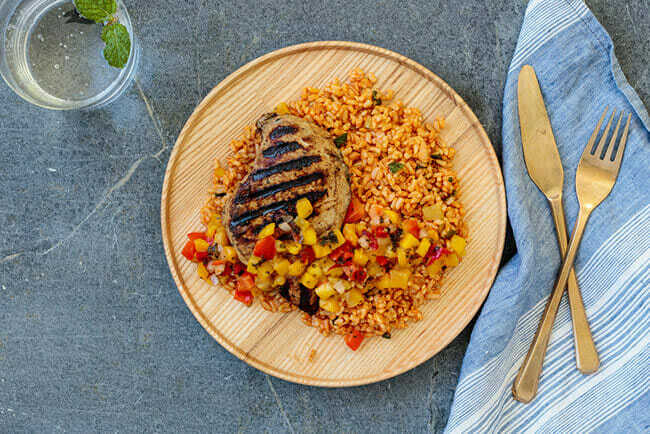 Unlike many other meal deliveries that offer fixed meal plans, Freshly allows you to customize your menu, so you get to hand-pick the meals you wish to see on your table. The menu changes weekly, so there are new breakfast, lunch or dinner options every time you stop by. With dozens of dishes available every week, you always get to try at least one or two new dishes and revisit something you already ordered and enjoyed. If you need some help picking the best dishes, you can check out which meals are marked as Top Rated and rely on the experience of other happy customers. Even though it is not exclusively an organic meal delivery, its ingredients are all natural and essentially good for your health. 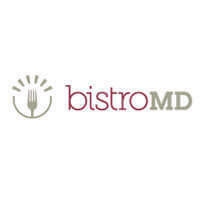 All of its meals are gluten-free, contain no processed sugars, and have low carb content. With plenty of protein, its meals keep you feeling full for longer and help your body burn fat much quicker, so you feel light and energized throughout the day. Freshly is unique in its efforts to give proteins the glory they deserve. Its diet philosophy has its roots in the Paleo diet. It highlights the importance of proteins in regard to feeling energized and losing weight more easily. The service has done away with everything that makes a person sluggish or overweight. By that, we primarily mean carbs and processed sugars, which seem to be the cornerstone of the modern diet. More protein, combined with fewer carbs and sugar, means more energy, easier fat burning, and above all, a healthier body. Freshly provides you with all the info you may need to know exactly what you are eating. Apart from selecting only the highest-quality natural ingredients, it also lets you know exactly what each meal contains. If you would like to know all the nutrition facts, you can check out the detailed info on the fat, cholesterol, sodium, fiber, calcium, iron, and vitamin content, as well as on the amount of carbs, proteins, and calories in every meal. What really impressed us while we were researching for this Freshly review is how extremely eco-friendly the service is. Every part of the packaging it uses is recyclable or biodegradable, so you can keep your environmental footprint to a minimum. Even the meals it ships are eco-friendly, as each meal is perfectly portioned, so there is no food waste either. If you like Freshly and wish to spread the joy, you can join the refer-a-friend program. With every successful referral, you get $40 and your friend can get 6 dinners for just $39 for two weeks. Keep in mind that you can only be rewarded for up to 10 successful referrals every month. Freshly is incredibly flexible and allows you to skip a delivery, pause your subscription or cancel at any time, as long as you do it before the weekly deadline. Luckily, the service sends you weekly emails in order to remind you of the deadline, so you do not have to worry about missing it and receiving any unwanted deliveries. As we have mentioned before in this Freshly review, this company offers delicious breakfasts and entrees that can serve both as lunch and dinner. 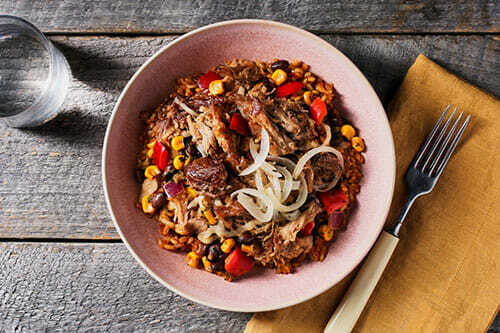 In partnership with some of the best chefs in the country, it is constantly coming up with new recipes that satisfy its main criteria – healthy, tasty, fresh, and protein-packed. While it does not offer specialized meal plans for different dietary needs and preferences, all of its meals are created in accordance with the requirements of several types of special diets. Its meals are mostly Paleo-inspired and contain no gluten or processed sugars, which makes them a good option for people on the Paleo or gluten-free diets, as well as diabetics. Being low in carbs and high in protein, they are a good choice for people who are trying to lose weight or just want to keep their bodies in good shape. The prices of meals at Freshly are quite similar to what we are used to with this kind of service. The 4-meal weekly plan costs $12.50 per meal or $49.99 per week, the 6-meal plan is $9.99 per meal or $59.99 per week, the 9-meal plan is $9.99 per meal or $89.99 per week, and the 12-meal plan is $8.99 per meal or $107.99 per week. As you can see, the more food you order, the more you save on each individual meal (up to $3.50 per meal), so if you like what Freshly offers, consider opting for a larger plan. You may be happy to hear that shipping is free with all plans, so you end up paying only for what you eat. One of the major downsides of Freshly is that their shipping range is quite limited. At the moment, they only deliver to 27 states: California, Texas, Illinois, Washington, Georgia, Arizona, Colorado, Tennessee, Oregon, Missouri, Utah, Oklahoma, Alabama, Indiana, Louisiana, Nevada, Arkansas, Kansas, South Carolina, New Mexico, Mississippi, Iowa, Idaho, Nebraska, Kentucky, Wisconsin, and South Dakota. However, it does not cover all areas even in the states mentioned above, so you better use the zip code checker to see if it can deliver to you. Nonetheless, considering it has managed to double the number of states it delivers to in such a short time, we have no doubt it will expand the list of delivery areas quite soon. To make sure Freshly meets all your standards and expectations, it is important to know its biggest advantages and disadvantages. With a short overview of its pros and cons, you can easily decide if Freshly is the right meal delivery service for you. Freshly provides its happy customers with finger-licking chef-prepared meals that can suit virtually any taste. 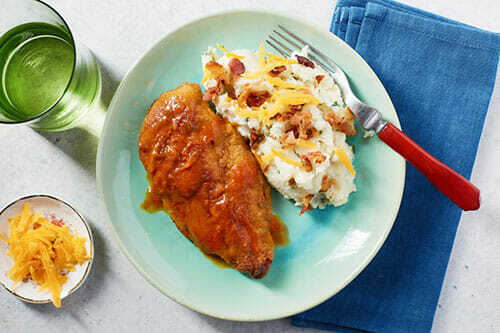 With this meal delivery service, you can enjoy restaurant-grade dishes in the comfort of your own home without breaking the bank. Take a look at our curated selection of Freshly meals to get a glimpse of the delights that await you on its menu. The basic philosophy behind Freshly is that healthy means high in protein, low in simple carbs and sugars, and high in healthy fats. According to the help center, this means that there’s not much room for dishes based on other nutrition principles, such as vegetarian or vegan. However, the service is constantly working on adding more vegetarian dishes to its menu and there are at least a few delicious meals for veggie lovers at all times. The meals are always fresh and nutritious and ready in just two minutes, which is as convenient as it gets. A team of pro chefs works hard on providing you with dozens of delicious breakfast, lunch, and dinner options every week. On top of that, shipping is always free, which significantly cuts down on the final price you pay for your meals. If you are looking for something affordable, convenient, healthy, and delicious, you should definitely consider giving Freshly a shot. The prices of meals at Freshly are within the industry standard. In return for what you pay, you get excellent chef-crafted meals. Most of the ingredients are gluten-free, non-GMO, and organic. Overall, Freshly offers great value for your money. 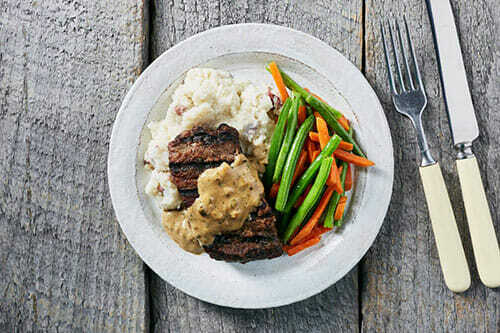 Freshly delivers healthy gourmet meals. Its ingredients, although not exclusively organic, are all natural and good for your health. The focus is on a high-protein diet, with meat as the main source of proteins, but there are also vegetarian meals. Where is Freshly shipped from? Freshly has multiple facilities across its distribution network. There are two main facilities from which the company ships its meals, one in Phoenix, Arizona, and the other in Savage, Maryland. Where your meals are sent from depends on your location. Log into your account, go to your Meal Planner, scroll down to Change Details, and click on Change under Subscription Settings. Click on the Cancel Subscription link at the bottom of the page and follow the prompts to finish the process. Can you freeze Freshly meals? If you cannot eat your Freshly meals by their “use by” date, you can freeze them. The company recommends that you reheat your meals from frozen, without thawing. The food should be reheated to 165 degrees, the same as reheating from fresh. Freshly uses organic ingredients whenever possible. However, not all of its ingredients are certified organic. The company guarantees that its ingredients are always free of additives, chemicals, artificial ingredients, and refined sugars. Freshly is a weekly subscription meal service delivering fresh (not frozen) meals developed by its in-house team of chefs and nutritionists. Customers receive fully cooked meals that just need to be reheated, which usually takes only 3 minutes. First, subscribers choose how many meals they want to receive per week: 4, 6, 9, or 12. 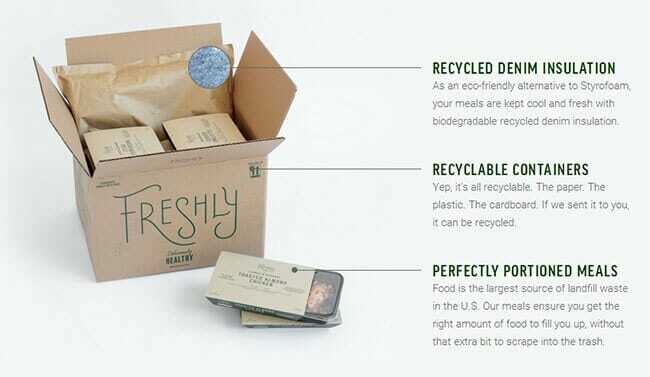 Freshly prepares your meals and sends them to your home address in a chilled box. It takes just 3 minutes to heat the meals in the microwave. Freshly delivers to all states within the continental U.S. Some ZIP codes, however, cannot be reached within the company’s 48-hour delivery period. To check whether your area is covered, enter your email and ZIP on the Freshly homepage. The company is based in New York. How long do Freshly meals last? Since the meals are prepared without artificial or chemical preservatives, they have a refrigerated shelf life of about 3-5 days. You can see the “use by” date for every meal on the back nutrition label. Meals can be frozen and eaten later. How often does Freshly change its menu? Freshly tries to launch a new meal every week and regularly rotates meals on the menu but keeps the highest rated options. Plus, the company uses customers’ meal ratings and comments to improve the recipes for its current meals. How many servings are there in a Freshly meal? 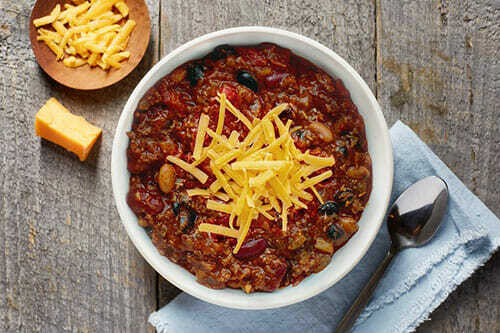 Currently, Freshly offers only single-serving meals (for one person only). The company does not offer family-sized meals at the moment. Which one is better – Freshly or Blue Apron? Both offer food of the highest quality, but their business models differ. While Freshly delivers fully cooked meals that just need to be heated in the microwave, Blue Apron customers receive ingredients and recipes to prepare their homecooked meals. Which one is better – Freshly or Hello Fresh? 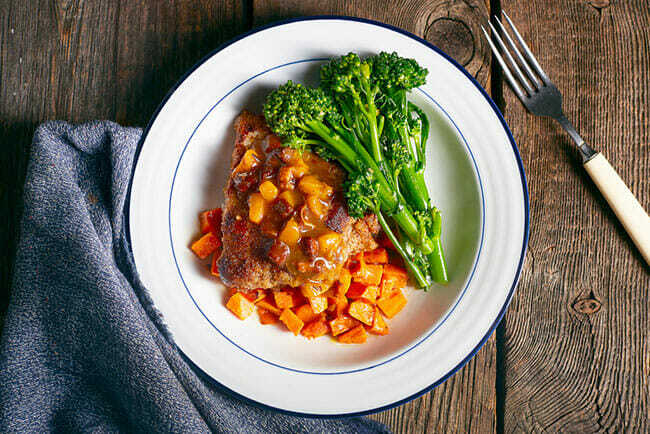 Freshly is a meal delivery service that will send you fully cooked meals that you just need to heat in the microwave. Hello Fresh is a meal kit delivery service that provides pre-portioned ingredients and recipes for preparing homecooked meals. Our ratings are the result of an objective and independent evaluation of Freshly, generating the final rating that reflects the overall quality of the company. Ratings may change as the service changes. Freshly customer rating based on 38 customer reviews. I’m a single mom to a 7-month old baby boy and having Freshly in my life has been a true lifesaver. I’m currently working two jobs and have absolutely no time or energy to cook and junk food and fatty snacks are simply out of the question. Freshly was an important part of my effort to turn my life around and become a better persona for my son. So far, I liked most of the breakfasts and entrees and I can already see the baby fat starting to disappear inch by inch. Some meals are definitely a bit higher in fat but nothing too excessive and you can maintain a healthy diet and lose weight effectively if you keep track of everything you’re eating. I’m absolutely delighted with the Freshly meals. They are indeed fresh, wholesome, and delicious. I recently regurned from the Duke University Diet & Fitness Center where I was fed 3 balanced, relatively low calorie meals a day for 3 weeks. The Freshly meals are entirely comparable, both in terms of ingredients and total calories. I live alone and do not want to prepare dinners on a daily basis. Freshly is a reasonably priced, excellent alternative. The packaging is great in terms of keeping the food cool and protected delivery. I only regret that the insulation isn’ recyclable. Awesome meals, my only complaint is that they focus on chicken, more beef and pork wouldn’t hurt. Don’t know if it’s because of the shipping costs, but the 4-meal plan is too expensive. I mean, 4 meals and 6 meals cost almost the same, it’s like they are trying to force me to order more. And yeah, the meals are really good, I’m just talking about the ridiculous pricing. Great choice of entrees but the breakfasts are kinda boring. Just tried my first freshly meal today. It was amazing. I would definitely order spaghetti squash and meatballs again. They did mess up on my first order (sent carved turkey when I ordered chicken parm) but customer service was quick to comp my next order. So far so good! We found 2 verified Freshly discounts for April, 2019. $60 OffGet $15 off any plan each week for 4 Weeks! Sign up and we’ll let you know about future Freshly promo codes. If you like Freshly but aren’t sure whether they are truly the ideal choice for you, you may want to take a look at our comparisons below to discover if one of their competitors is more suitable for you.